Preheat oven to 450 degrees F. Grate the zucchini, spread out on on cutting board and sprinkle with salt. Let sit while you prepare the rest of the recipe. Add flours, baking powder, and salt to a food processor and pulse to mix. Add butter cubes and pulse a few times until the mixture resembles coarse meal. Squeeze the zucchini to get any excess water out. 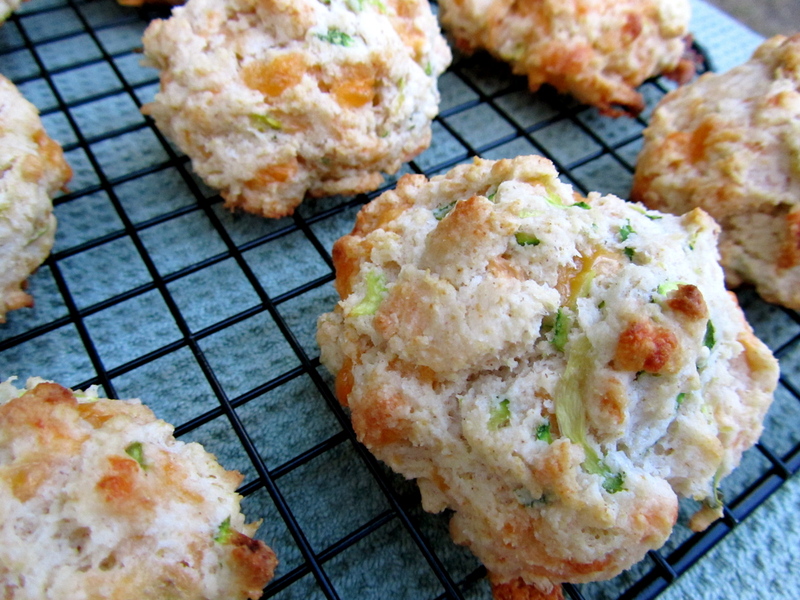 In a bowl, combine zucchini, cheddar, buttermilk, and dry mix. Roll biscuits between your palms and place apart on baking sheet (you’ll get about 15). Bake for 10 minutes, or until golden brown. This entry was posted in baking, cheese, vegetables by Laura Zolnoski. Bookmark the permalink.